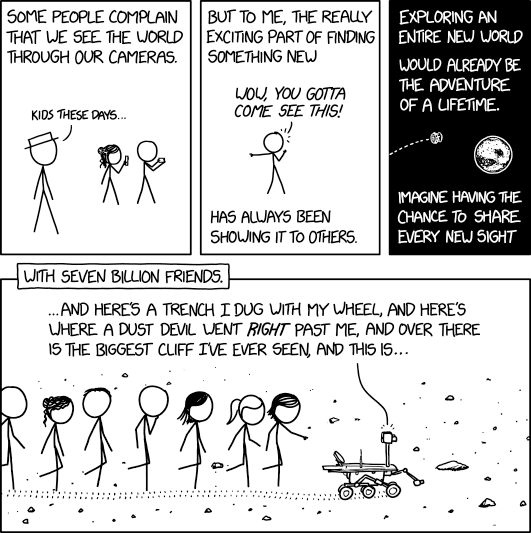 Nur 90 Tage sollte der Marsrover "Opportunity" eigentlich durchhalten. Aber daraus wurden 15 Jahre. Nach einem Staubsturm sind "Opportunity" jetzt endgültig die Akkus leergelaufen. Silent since a giant dust storm last summer, the rover was the longest-lasting robot on another planet ever. The longest-lived robot ever sent from Earth to the surface of another planet, Opportunity snapped pictures of a strange landscape and revealed surprising glimpses into the distant past of Mars for over 14 years. But on Wednesday, NASA announced that the rover is dead. “It is therefore that I am standing here with a deep sense of appreciation and gratitude that I declare the Opportunity mission is complete,” said Thomas Zurbuchen, NASA’s associate administrator for science. For the scientists, that ends a mission of unexpected endurance. The rover was designed to last only three months. Opportunity provided scientists a close-up view of Mars that they had never seen: finely layered rocks that preserved ripples of flowing water several billion years ago, a prerequisite for life. 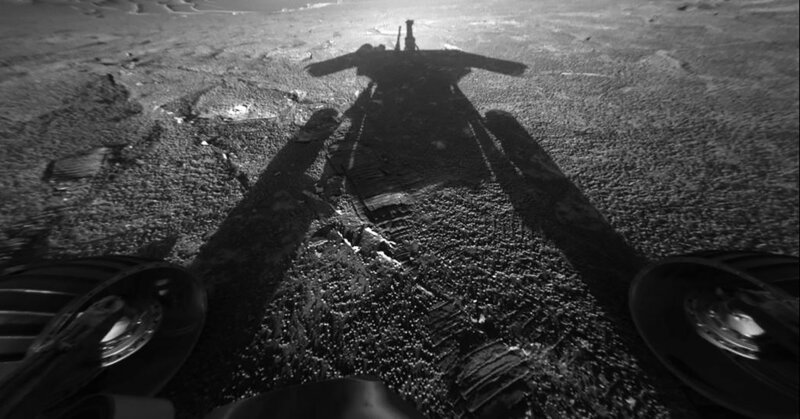 The steady stream of photographs and data from Opportunity — as well as its twin, Spirit, which survived until 2010 — also brought Mars closer to people on Earth. Because the rovers continued so much longer than expected, NASA has now had a continuous robotic presence on Mars for more than 15 years. That streak seems likely to continue for many more years. A larger, more capable rover, Curiosity, arrived in 2012, and NASA is planning to launch another in 2020. On Tuesday night, NASA made one last call to Opportunity, which was silenced last summer by a giant dust storm. There was no answer. The rover has been quiet since June. During the dust storm, Opportunity’s solar panels could not generate enough power to keep the spacecraft awake. NASA had hoped that once the skies cleared, the rover would revive to continue its work. 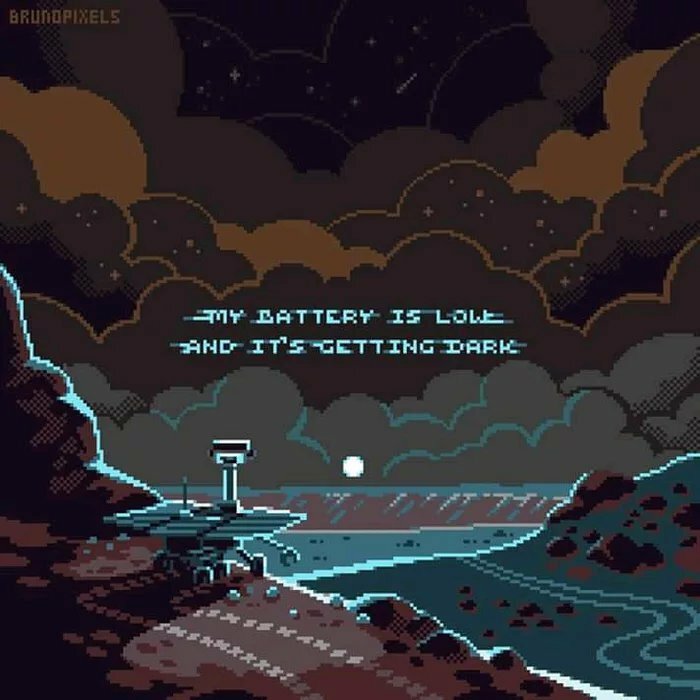 [IMG]Fifteen years and 28 miles on the red planet. Last fall, the space agency announced it would spend just a month trying to reconnect with Opportunity. NASA relented, but as time passed, it became more likely that the mission was finally over. Perhaps the solar panels are encrusted in a thick layer of dust, or some crucial electronic component broke down in the extremes of Martian weather. The windy season, when gusts have periodically cleaned the solar panels, has now ended, further reducing the chances of a revival. Opportunity landed on Mars on Jan. 24, 2004, three weeks after its twin, Spirit, which set down on the opposite side of the planet. NASA was trying to rebound from two embarrassing failures in 1999. A mix-up between English and metric units caused the Mars Climate Orbiter to dip too far into the atmosphere and was ripped apart as it pulled into orbit. Three months later, the Mars Polar Lander vanished during its landing. An investigation found that the spacecraft likely shut off its engines too early and plummeted to its destruction. Steven W. Squyres, a Cornell astronomer who serves as the mission’s principal investigator, had been selected to oversee the scientific instruments for an Opportunity-like rover that was to launch in 2001. Because of NASA budget limits, the rover was changed to a stationary lander. After the 1999 failures, the Mars lander mission for launch in 2001 was canceled. Then the question was what to do in 2003, the next time that Earth and Mars would be close enough to send another spacecraft. 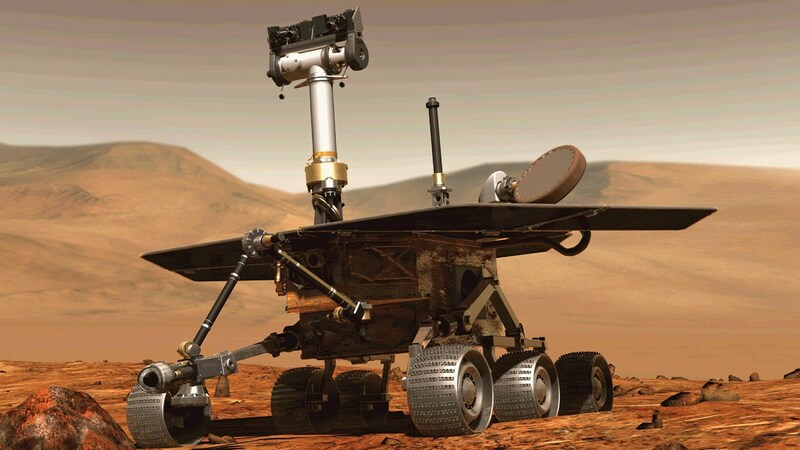 One of options was to put Dr. Squyres’s instruments back on a rover, a scaled-up version of what NASA had used on the successful Pathfinder mission in 1997. Daniel S. Goldin, the NASA administrator, was initially skeptical but agreed. Then he asked: Why not two rovers? That would provide redundancy and would allow exploration of two different places on Mars. The rovers received the green light from NASA in the middle of 2000. Then came the rush of developing and building the rovers in time to launch in 2003 without the corner-cutting mistakes that had doomed the 1999 spacecraft. “It was a miracle we got to Florida,” Dr. Squyres said. A self-portrait taken by Opportunity in March 2014, showing that wind had blown off much of the dust that had covered its solar panels.CreditNASA/JPL-Caltech/Cornell Univ./Arizona State Univ. Opportunity hit a scientific jackpot immediately after its arrival, landing within a small crater with exposed bedrock. The bedrock was made of finely layered sedimentary rocks that formed in water several billion years ago, but these waters were salty and acidic. Over the years, Opportunity explored a series of larger and larger craters. At the rim of the biggest, the 14-mile-wide Endeavour Crater, Opportunity discovered bedrock that was older than the crater, lifted upward but not broken apart by the impact that had formed the cavity. “In just one small area, there was this wonderful little window into the subsurface,” Dr. Squyres said. This rock contained clays, which would have formed in waters that were pH-neutral or slightly alkaline. “This was water you could drink,” Dr. Squyres said. 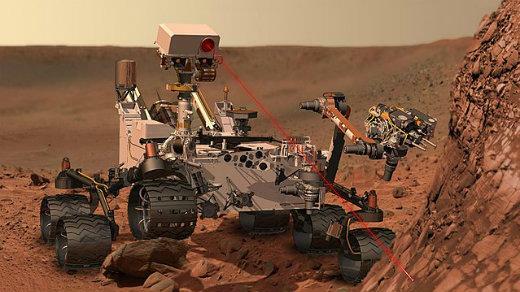 That environment might have been habitable for microbes, had any been there on Mars, although the rover was not carrying instruments that could search for the carbon-based molecules that might have hinted at ancient life. Still, the evidence offered a picture of early Mars: a once-habitable environment that became harsh, with volcanic eruptions turning the waters acidic and then the entire planet drying out. At the beginning, the mission was a dash, with the scientists trying to squeeze out as much data as they could before the Spirit and Opportunity died. The designers of the spacecraft expected that dust settling from of the Martian air would pile up on the solar panels, and eventually the rovers would fail from lack of power. Unexpectedly, gusts of Martian winds repeatedly acted as “cleaning events,” wiping the dust away and boosting power. The rovers made it through the winters by parking with their solar panels pointed northward, toward the sun. Each year, investigators bet whether one or two rovers, or none, would make it through the year. Richard Cook, one of the top managers for the rovers, was not among the optimists. “I bet and lost $20 every year for the first five years, and then I stopped betting,” he said. In 2009, Spirit slipped into a sand trap and could not pull itself out. It stopped communicating in March 2010, unable to survive the Martian winter. NASA’s Curiosity rover, which landed in 2012, continues to explore another part of Mars, a crater that was once filled with water. In addition to NASA, China and a joint European-Russian collaboration are also planning to send rovers to Mars in 2020. Dr. Harrison said that on Tuesday, John Callas, the current mission project manager, phoned operators of a radio dish in Australia, part of the network that NASA uses to communicate with its interplanetary voyagers. He thanked them for 15 years of work with Spirit and Opportunity and said he was now signing off. In zwei Jahren will die Nasa einen neuen Rover zum Mars schicken. Er soll einen riesigen Krater untersuchen. Nasa-Wissenschaftler Ken Farley erklärt im Video, vor welchen Herausforderungen die Mission steht. In zwei Jahren will die Nasa einen neuen Rover zum Mars schicken. Er soll einen riesigen Krater untersuchen. Projektwissenschaftler Ken Farley erklärt, vor welchen Herausforderungen die Weltraumexperten stehen.